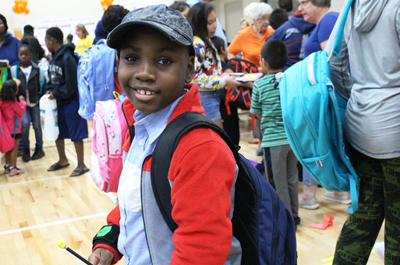 Fridley Public Schools hosted its annual Back to School Community Resource Fair on August 25, 2018. 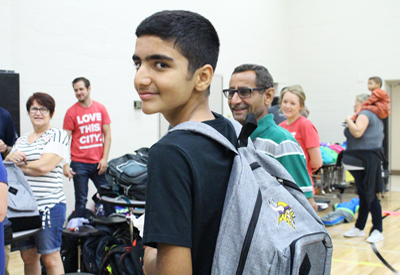 A record-breaking 550 backpacks with school supplies were donated and available for Fridley students. Over 20 district programs and community organizations were also on hand to share resources and information with attendees. “We are so excited to be able to provide this outreach service to our community and this much needed resource to our families,” said Family and Cultural Liaison Aloda Sims, who organizes the event each year. Sims said the purpose of the event is to set all students up for success as the new school year begins. “We are partnering with the whole community to make sure that our kids are ready and excited and definitely putting that great foot forward to start the school year off right,” said Sims. Fridley Public Schools Superintendent Dr. Kim Hiel said she was thrilled to witness the high level of community engagement and to participate in the traditional event that supports so many families. “We’re here to support our school community, support our partnerships, support our families. If they need something, we want to be here for them,” said Dr. Hiel. She added that what made the event so beautiful, was that many community members donated to support students. “We have incredible partnerships that are going on. 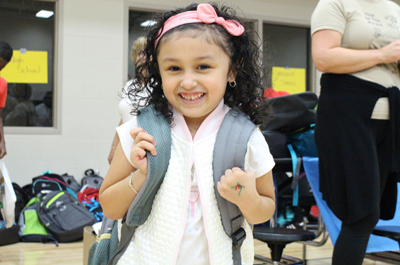 It just gives you goose bumps on how everyone has come together for our Fridley students,” said Dr. Hiel. Fridley Preschool PYP and Youth Services Coordinator Karin Beckstrand, who also helps to organize the event, said this event would not be possible without our incredibly supportive community. 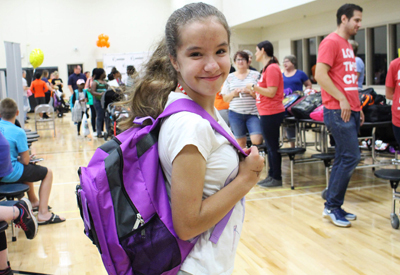 Numerous partnerships among local organizations and churches have continued since the Back to School Resource Fair began in 2013.